4 Bedroom Detached House For Sale in Manchester for Offers Over £500,000. A truly stunning spacious four bedroom detached property in a beautiful conservation area. 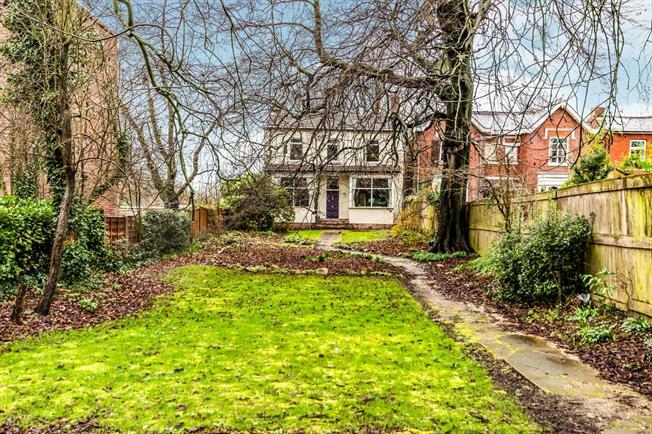 Offering great living space throughout with a little bit of countryside in the heart of Manchester. This beautiful double fronted detached property has been sympathetically renovated to maintain its original features and character. The property consists of three floors including two good size cellars. On the ground floor there are three reception rooms and a fitted kitchen all with beautiful features in keeping the style of the property. On the first floor are four good size bedrooms with a large four piece bathroom suite and dressing room. This property is being sold with no onward chain and viewings are highly recommended.